Victory Windows (Hampshire) have supplied and installed Double Glazing in Havant for nearly 30 years, establishing ourselves as a real favourite in terms of Double Glazing installers in Havant. With so many years of experience under our belts we must have fitted hundreds of double glazed windows and doors in Havant so you’ll never be too far away from one of our many happy customers. Why choose Victory Windows for Double Glazing in Havant? Call us today on 02392 824006 or 02392 666955 to arrange an appointment today or contact us here. Based in Portsmouth, Victory Windows have a history of providing expert double glazing at affordable prices. With regards to Double Glazing in Havant, no job is too big or too small for us to undertake whether you need to change some glass in one window or you’re looking for a whole house of windows and doors, Victory Windows should be your first port of call for Double Glazing in Havant. 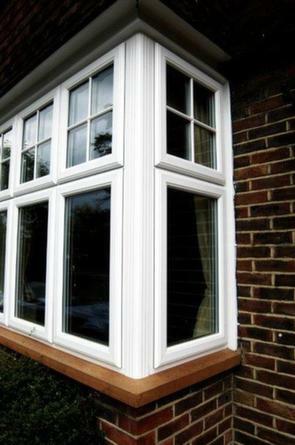 Our exceptional uPVC product is available in a wide range of colours, including white, cream, Irish Oak and Woodgrain. We also offer a wide range of tailor made security features such as multipoint locking systems and high security handles which ensures that your home is being kept secure all year round. All of our Double Glazing in Havant is undertaken by trained and experienced fitters, whilst your site survey ensures that your replacement windows and doors keep within all UK Building regulations. Our designer can sit down and help you make the windows and doors or your dreams a reality. Consider Georgian or diamond leaded bars for an authentic look or consider some patterned, stained or decorative glass in your brand new windows and doors in Havant to really make a statement! Get the ball rolling and revitalise your home today with a brand some brand new Double Glazing in Havant today. Victory Windows are a small family run business and we’d love to talk to you. Give us a call today on 02392 824006 or 02392 666955 use our contact form to leave us a message.